Welcome to the Department of Dyes & Chemical Engineering (DCE), Bangladesh University of Textiles (BUTEX). So far, BUTEX has produced thousands of textile graduates to fulfill the demand of different branches of textiles such as spinning, weaving, knitting, dyeing & finishing, apparel manufacturing, management and marketing. However, the necessity of manufacturing of dyes and chemicals used in textiles remained unfocused. A big amount of foreign currency is remitting out from the country to import the dyes and chemicals every year. Report reveals that the current annual market demand of dyes and chemicals in the textile industry of Bangladesh is about US$500 million which will reach near about $1 billion to achieve the milestone export target of US$50 billion by 2021 from US$28.5 billion in 2016. Understanding the future needs for economic growth of Bangladesh, BUTEX has decided to open the department of DCE in 2016 under the Faculty of Textile Chemical Engineering. The target is to create the academic, technical and business leaders for today and tomorrow who will employ the skills sets of industrial processes and scientific advances. We believe dyes and chemical engineering will be the key to create local industry to support a healthier, cleaner, greener and more efficient textile industry. The curriculum of the program focuses on fibre-forming polymers, textile chemistry & chemical analysis, and synthesis of dyes & chemicals. The department also focuses on the application of chemicals and colorants in various textile processing such as pretreatment, dyeing, printing, finishing, and pollution control. The teachers and staffs of the department are very cordial and careful to improve the student’s emotional maturity, management capacity, leadership skills, and social responsibility. We aspire to create a unique multidisciplinary research environment where collaboration is the key; within the departments, faculties and between industry. The strength of DCE is its people and we strongly welcome the very best staff, students and researchers from around the country and world to become part of our mission. We encourage exceptional and highly motivated students to consider our range of engaging and stimulating research opportunities for the benefit of our country and society. The department reflects the vision and commitment of BUTEX in engaging research activities and collaboration with industry. I wish to thank you for visiting our department. Department of DCE strives to contribute in national and global through knowledge, research, and innovation in synthesis, separation, formulation, and applications of textile dyes and chemicals. Modernization of existing Teaching-Learning system and curriculum through incorporating Outcome-based Teaching-Learning system and curriculum. Infrastructure and other necessary facilities such as digital classroom, labs and libraries will be developed to provide better teaching-learning and research environment. Develop a Quality Culture through Teaching-Learning, Staff Development, Student Activities and Management system. Promote Research and Innovation through strong industry linkage and collaboration with other local and global research and educational institutions. Active contribution in policy making within the University, Country and Global. To provide basic and in-depth knowledge and know-how to the students in the area of color chemistry, textile chemicals, process technology, and applications. To provide need-based quality education for the students to meet the industry requirements in local and global. To engage students in independent research design and personal development & management through a combination of multidisciplinary course works and research, in combination with seminar, assignment, competition, exhibition and other co-curricular activities. Promote students to link-up with local and global textile chemicals and dyestuffs manufacturing companies and industries so that the students can understand the real life application, effectiveness, effects & impacts, and problems. Nurture a motivating academic environment through exchange and research collaboration with local and international organizations and professionals. Planting social values & responsibilities, justice, environmental awareness, and ethics in the mind of students. Know the basic concepts of synthesizing and formulizing the chemicals and colorants used in textile processing. Understand the properties and application of textile chemicals, colorants and auxiliaries. Know the effects and impacts of textile chemicals, colorants and auxiliaries on environment and ecology. Asses and analyze the nature, strength and purity of chemicals. Identify and analyze the root causes of problems and probable solutions by using analytical equipment and instruments. Comparing and Characterizing existing methods, identifying flaws in existing methods, and designing or re-designing of the methods. Motivated graduates upholding social values & responsibilities, ethics & justice, and respect to laws and environment. Exercise the qualities of scholarly attainment and manners, sense of responsibility and accountability in the familial, professional, and, social environment. Demonstrate sound capacity to conduct independent research and deliver effective presentation. Extend the frontier of acquired knowledge through further independent learning, and, thus, add to existing knowledge bank. 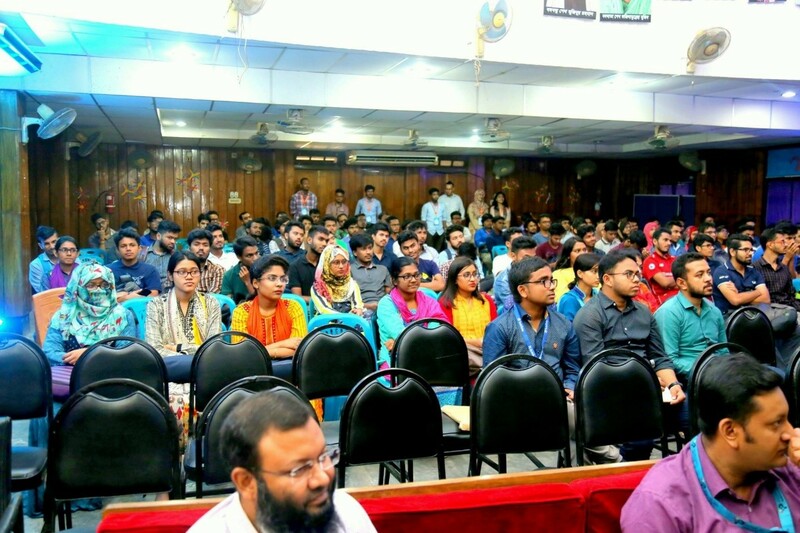 Dr. Mohammad Forhad Hossain, Professor, Department of Dyes and Chemicals Engineering under the faculty of Textile Chemical Engineering, Bangladesh University of Textiles, is specialized in Dyes and Chemicals Engineering, Advanced Technology of Textiles and Medical Textiles. He joined in this University (Former College of Textile Technology) in January 2003. Before that he worked at Sinha Textiles Ltd., Kanchpur, Narayongonj. He teaches different courses of textiles in undergraduate and postgraduate level. He has keen interest to gather new knowledge and advancement of science & technology. He keeps himself up-to-date in technological development and advancement. He is a listed reviewer of Wiley Publications Inc., one of the world’s largest publishers of research journals. Textile chemical processing, chemical treatment, surface treatment, textile coloration, textile finishing and functional treatment, etc. Natural and man-made fibers, fibrous materials, nanotechnology & nano-fibrous materials, fibrous composites, functional textiles, medical textiles, wound dressing materials, etc. ▪ PhD in Materials (Textile Science & Technology), The University of Manchester, United Kingdom. ▪ MSc in Industrial Engineering (Textiles), The Swedish School of Textiles, The University of Boras, Sweden. ▪ BSc in Textile Technology, BUTEX (Former College of Textile Technology, The University of Dhaka). Hossain, M. F. & Gong, R. H. (2016). Silver-loaded Antibacterial Alginate Nanofibres: Preparation and characterization. Journal of Fashion Technology & Textile Engineering, (accepted). Hossain, M. F., Gong, R. H. & Rigout, M. (2016). Effect of polymer concentration on electrospinning of hydroxypropyl-β-cyclodextrin/PEO nanofibres. The Journal of The Textile Institute. Hossain, M. F., Gong, R. H. & Rigout, M. (2015). Optimization of the process variables for electrospinning of poly(ethylene oxide)-loaded hydroxypropyl-β-cyclodextrin nanofibres. The Journal of The Textile Institute, 1-11. CSR – its influence on Bangladesh textile and apparel industry, Textile Asia, August 2009. Applications of Phase Change Materials (PCMs) in textiles, Bangladesh Textile Today, 2009, 2 (2):46-51. Sustainability of Fashion industry, Bangladesh Textile Today, 2010, ICTA 2010 Issue, pp.61-62. Hossain, M. F.,Gong, R. H. & Rigout, M. (2014). Hydroxypropyl-β-cyclodextrins nanofibres, Fourth International Conference on multifunctional, hybrid, nanomaterials, ELSIVIER, Barcelona, Spain, March 9-13, 2015. Hossain, M. F.,Gong, R. H. & Rigout, M. (2014). Preparation and characterization of antibacterial alginate nanofibres, Textile Research Conference, Dhaka. Author, Practice of Textile Colouration (Vol. 1), Bookfair, Dhaka, 2010. Author, Essential Wet Testing in Textiles, Prime Publications, Dhaka, 2007. Dr. Mohammad Abbas Uddin Shiyak received Commonwealth Scholarship for his PhD in Textile Science and Technology from the University of Manchester, UK and Australian Development Scholarship for his Master of Design from the Curtin University of Technology, Australia. 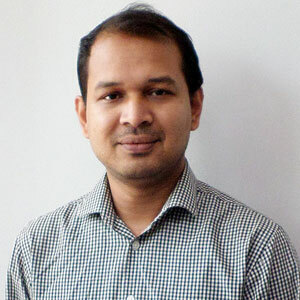 He completed his MBA in Marketing from Institute of Business Administration (IBA), University of Dhaka. 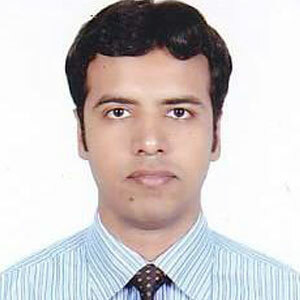 He is a graduate in Textile Technology from College of Textile Technology, The University of Dhaka. He is a Chartered Fellow of The Textile Institute UK (CText FTI). Dr. Abbas Uddin has over 14 years of experience in textile and garment production, academic research and environmental consultancy. He is considered as a hybrid between technical excellence and business intellect. He is passionate about developing industrial sector of Bangladesh organically through research and development, creating a new generation of social and environmental champions and liaise between industry and academia for future needs. Dr. Abbas has worked as Principal Consultant for Reed Consulting Bangladesh (RCB), Ltd. and project leader of RCB projects. 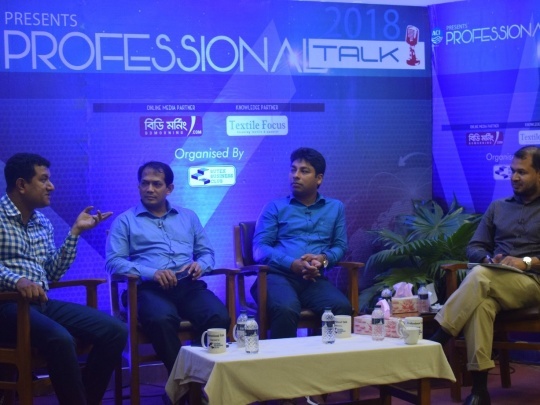 He worked with various development organisations such as German Development Agency (GIZ) Dhaka, International Finance Corporation (IFC)- The World Bank, Canadian High Commission, Dhaka, British High Commission Dhaka, The Nordic Chamber of Commerce Dhaka etc. He worked as an expert for GIZ Promotion of Social and Environmental standards (PSES II) on sludge management and co-authored a book titled ‘Manual for Sludge Management in Bangladesh Textile Sector’. He also worked as dyehouse expert for ‘IFC-Partnership for Cleaner Textile’ project; is a recognised environmental consultant for ‘Business Environmental Performance Initiative (BEPI) – Foreign Trade Association’ and local environmental consultant for Enclude, Netherlands to implement ‘social and environmental management systems’ at Southeast Bank Ltd for global climate partnership fund, Switzerland. He is certified trainer for ‘Sludge Management on Textile’ for giz and ‘Dyehouse Management’ by Textile Institute UK. He trained representatives from more than 100 textile factories, 20 government officials from Department of Environment (DoE), brand representatives and service providers. 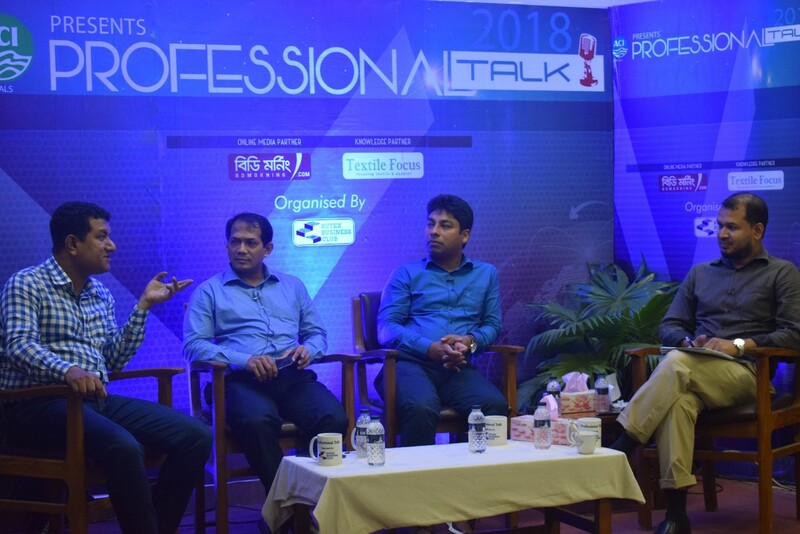 He is an Associate Editor for Bangladesh Textile Today magazine and speaker and panelist in local and international seminar/workshop/conference. He also reviewer of many journals in textile field. BSc in Textile Technology, College of Textile Technology, The University of Dhaka, 2002. Uddin, M. A., Datta, S., S. K. Pramanik, M. Abdullah-Al-Shoeb. Natural adsorbents for dye effluent of high strength COD and their microbiological analysis. Chemistry Journal, UK, 2011, Volume 1, p29-35. Uddin, M.A., Ahmed, Z., and Datta, S. Microbiological analysis of medical textiles and effectiveness of antimicrobial finished fabrics. J. Primeasia University. 1 (1): 1-4 (2011). Uddin, M. A. and S. Ahmed (2016), Manual for sludge management in Bangladesh Textile sector, German Development Agency (GIZ), Dhaka. Uddin, M. A. et al (2017), Greening the Textile and RMG Industry in Bangladesh, Canadian High Commission, Dhaka. Nisha, N. S., Hossain, W., Arefin, S. A., Uddin, M. A. et. al. (2017), Zero discharge of Hazardous chemicals, German Development Agency, Dhaka. Uddin, M. A. and M. A. Rahman, M. A. (2017), Access to Green Finance For Energy Efficiency, 3e and Nordic Chamber of Commerce and Industry in Bangladesh (NCCI), Dhaka. 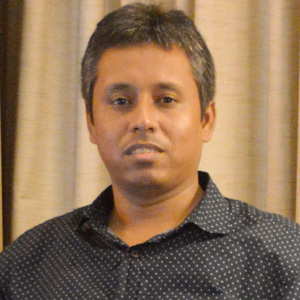 Mustafijur Rahman, a Commonwealth Scholar, is specialized in the fields of textile chemistry, dye synthesis, chromic dyes application in medical textiles, eco-friendly applications in textile dyeing sector, medical textiles, Polymer & Fibre Engineering, Nanofibres, Bio-materials, Tissue engineering, Polymer Degradation & Stability, etc. Mr. Rahman is highly professional in all aspects of his work. He has been appointed in Bangladesh University of Textiles (BUTEX) at the Department of Wet Process Engineering Department in 2016. Before joining in BUTEX, he worked as Assistant Professor at Primeasia University in Textile Engineering Department. In addition, Mr. Rahman worked as Researcher at Colour Synthesis Solutions Ltd, UK under a research project in collaboration with the University of Manchester in 2014. He was also the Proctor and Examination Supervisor of Memorial University of Newfoundland, Canada under the Distance Education and Learning Technologies (DELT) program in 2011-2012 WINTER semester. Mr. Rahman has also two years industrial experience in renowned woven composite industry, South China Bleaching and Dyeing Factory Limited, which is located in DEPZ, Savar, Dhaka. He likes to contributes his knowledge and expertise with the students and takes dignity in empowering the next generation of skilled textile professionals. Mustafijur Rahman possess very contemplative and outstanding academic records. In 2014, he has pursued M.Sc. in Textile Science and Engineering at The University of Manchester, UK funded by Commonwealth Scholarship Commission, UK under the prestigious Commonwealth Scholarship and Fellowship Plan. He has accomplished M.Sc. Research on “Synthesis and Application of Reactive Azo-Based Halochromic Dyes for the Implementation as pH Sensor on Wound Dressings”, Supervised by Renowned Textile Chemist Dr. Muriel Rigout. In the year 2009, he has completed B.Sc. in Textile Technology, Specialization in Wet Processing Technology with First Class from Bangladesh University of Textiles (Former College of Textile Engineering and Technology, University of Dhaka, Bangladesh). He completed his HSC from SOS Hermann Gmeiner College, Dhaka and SSC from Monipur High School, Dhaka with excellent results. He achieved the board scholarship for outstanding results in both HSC and SSC examination. "Ageing Effects of Na-alginate/PEO Spinning Solution on Electrospinnability and Morphology of Nanofibres"–published at: EUROPEAN SCIENTIFIC JOURNAL(ESJ),–published at: European Scientific Journal (ESJ) in March 2017 edition vol.13, No.7, No.8, and No.9. “Feasibility study of integrated desizing, scouring and bleaching of cotton woven fabric with H2O2 and investigation of various physical properties with traditionally treated fabric” –published at: European Scientific Journal(ESJ), in November 2016 edition vol.12, No.28, No.29 and No.30. “An exploratory study on modern 3d computerized body scanning system and various types of pattern making software’s with their constructive implementation in apparel industry” –published at: European Scientific Journal(ESJ), in May 2015 edition vol.11, No.13, No.14 and No.15. “Feasible Application of Modern Eco-Friendly Treatment of Wool Fabric before Coloration” - published at: International Journal of Scientific and Research Publications (IJSRP), Volume 4, Issue 7, July 2014 Edition [ISSN 2250-3153]. “Recent Innovations in Yarn Technology: A Review” - published at: International Journal of Scientific and Research Publications (IJSRP), Volume 4, Issue 6, June 2014 Edition [ISSN 2250-3153]. 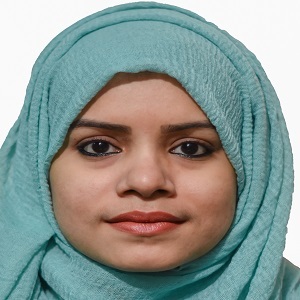 Nusrat Jahan, a highly devoted, wholehearted and resourceful teacher has joined as Lecturer in the Department of Dyes and Chemical Engineering, Bangladesh University of Textiles (BUTEX) on December, 2018. She is committed and dedicated to teach, inspire, motivate and encourage students by creating a friendly and energetic environment in class room to pursue their academic and personal excellence. She has keen interest to gather new knowledge who also wants all her students to be life-long learner. She has started her teaching career as a Lecturer in Daffodil International University from February,2016 to November,2018. She got training on bloom’s taxonomy, research methodology, SPSS,Employability and soft skills from IQAC, Daffodil International university. Nusrat Jahan has an outstanding academic background .She has completed her B.Sc. and M.Sc. in Applied Chemistry and Chemical Engineering from the University of Dhaka, securing CGPA 3.84 and 3.85 respectively. She has an excellent academic career since her primary education level. She achieved Primary Scholarship (Talent grade), Junior scholarship (Talent grade), board scholarship, in talent grade for outstanding result in SSC and HSC examination. She obtained University full free Studentship and university scholarship for B.Sc. result. She also obtained National Science & Technology Fellowship for M.Sc. research work.